Tahoe Trail Guide will be on hiatus from December 21 – January 14, 2019. I realize everyone is busy right now, so I’ll try to keep this “state of the union” brief. But I would be remiss for not acknowledging that December of 2018 marks Tahoe Trail Guide’s two-year anniversary. So, thank you to everyone who’s read and responded to my articles and has provided ideas regarding the website’s design and implementation. Tahoe Trail Guide is my passion project and I intend to continue building it for years to come so the feedback you’ve provided me, whether it be in-person or online, helps make it more user-friendly and fun to read. Without getting into the nitty-gritty details of the site’s analytics, just know that there’s been a large increase in traffic in the site’s viewership when comparing its second year (2018) to its first (2017). This is very encouraging. But what’s even more encouraging is the fact that despite doing very little by way of advertising and promotion of the website, the majority of visitors to Tahoe Trail Guide come from organic searches. This method of being found online (organic searches) is the best way because it essentially means that you’re creating content for which people are searching (via Google, for example). This tells me that the site is becoming the valuable resource (I intended) for information about outdoor adventures at Lake Tahoe and in the surrounding Sierra Nevada Mountains. The reason I haven’t made a full-court press to promote the website yet is because I want to have as much content available as possible. There’s nothing worse than going to a store or gallery’s grand opening and discovering that the walls and shelves are bare. That said, to date there are just over 70 articles and multiple pages on Tahoe Trail Guide. 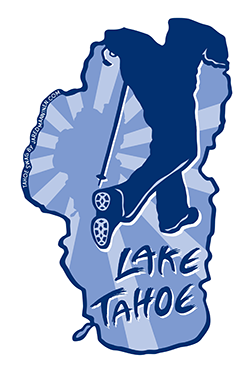 And although most of the trails currently featured on the website are located on the south shore of Lake Tahoe (where I live), I’ve built into my workflow traveling to other aspects of the Tahoe region in order to offer a more comprehensive list of places in which to explore. For the past year I’ve gotten into the rhythm of publishing three articles a month on Tahoe Trail Guide (and a monthly newsletter via my personal website JaredManninen.com). This is about all I can handle but, to be honest, I don’t see Tahoe Trail Guide ever publishing articles at a rate more frequent than one per week. I personally don’t like receiving more newsletters than that even from my favorite blogs and websites, so I can’t justify sending you more than that amount. Even when I do enlist the aid of other Tahoe local contributors, I plan to stick to this 3-4 articles per month schedule. It’s not my intention to boast or brag, but rather to illustrate the amount of work I put into producing each article I write for Tahoe Trail Guide. For example, the bullet list below is the standard procedure I follow when publishing articles for the Tahoe Trails section of the website. Believe it or not, these articles are usually the easiest and quickest for me to produce because they’re straightforward in their research and presentation of information. There are a million and one smaller steps in-between each of these primary tasks and I rarely complete everything in one shot. However, as you can see, this process has the potential to take many days in which to complete. I am a one-person operation, after all, and currently don’t make a living from this website, so also know that I work seasonal jobs and try to maintain some semblance of a regular life outside of this labor of love. Again, I’ll be on hiatus until January 14, 2019, in order to bank a lot of hours at my winter job working at a cross-country ski center in North Tahoe. When I return, I’ll carry on with producing articles featuring fun Tahoe trails, as well as some more local history from the region, winter travel tips and cross-country ski lessons, and I’ll eventually complete that series on planning your next backcountry adventure(!). The one series I’m particularly excited to begin writing about focuses on the infamous Donner Party. So, stay tuned! In the meantime, I wish you and your family and friends a Healthy and Happy Holiday Season! See you in the New Year! Logged my 18th day on cross-country skis on December 19, 2018 for the winter of 2018/19. Hard to believe I already had that many days (and it wasn’t even Christmas yet! ), but the early December storms and cold night temperatures during the month enabled it to happen. Happy Holidays to you, Jared and Happy Anniversary to Tahoe Trail Guide! Looking forward to many informative adventures as well as great photos in 2019! Thanks so much, Joan! I’ll definitely start working on new articles as soon as I make it through the holidays!